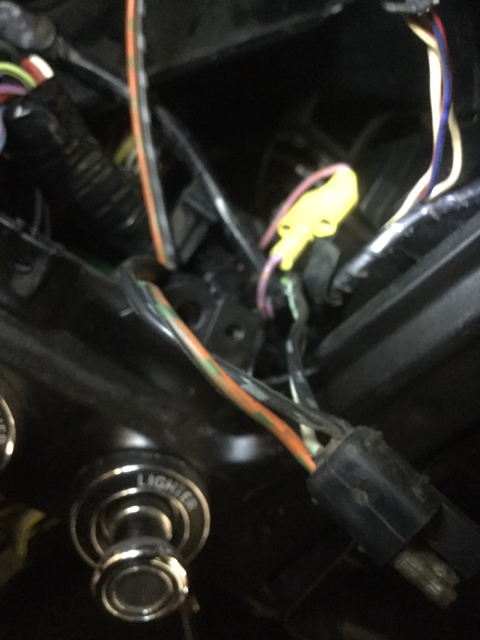 Couple of under dash wiring questions. I have a 73. 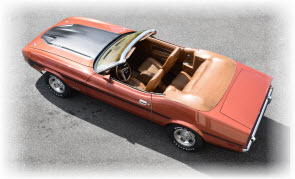 Mach1 with power windows and a/c. It also has. Factory tach. 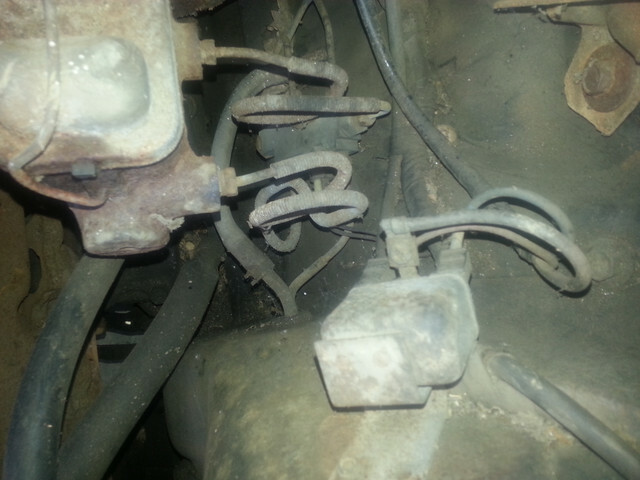 I’m having trouble figuring out where a couple of wire go. The first two pictures are wired that come from both kick panels. I’m pretty sure thy have something to do with the power windows but I don’t know where this plugs into under the dash. The next picture has I believe four wires coming into it. It’s located towards the center of the dash. The last picture with the green connector could this be for a factory radio? It has a black bullet female connector right next to it could that be a ground for a radio? Sorry for all the questions but I took this apart about 2 years ago and I’ve scoured the wiring diagram and can’t find where they go. 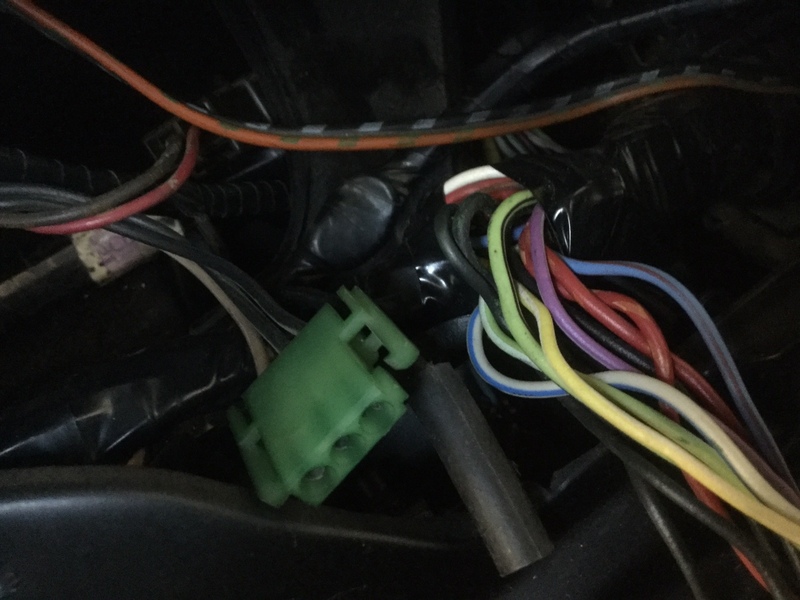 The four-pin connector with the Orange / Lt Green & White / Lt Green are the speaker wires for the doors, so your car would have had an AM/FM or AM/8 track stereo. The first three pin is the power connector for said radio. The green plastic connector, no idea. I'm sure #Midlife will know. The yellow plug/wire is an accessory wire. It connects to the accessory post on the fuse panel. It is typically installed to provide switched power to the parking brake warning light. 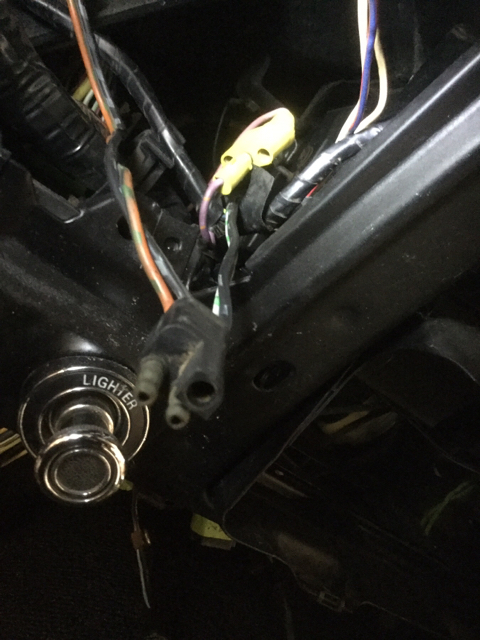 For power windows, there is a similar plug in the LH kick panel space that is connected to an unswitched accessory wire harness that passes thru the firewall (not the main harness) and runs to the battery side of the solenoid or a terminal block. 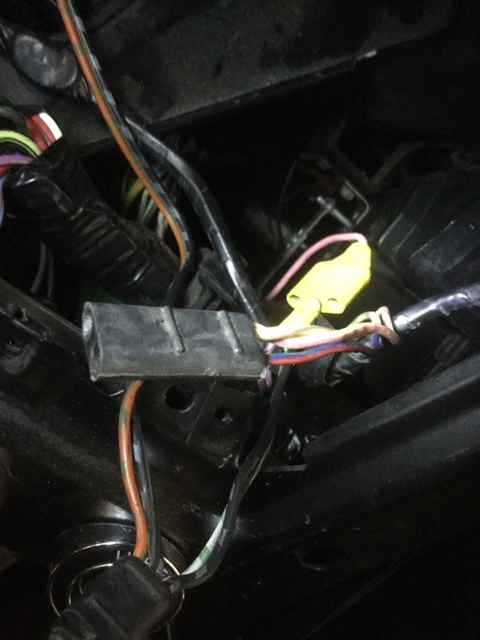 The harness also has a wire/plug on the engine bay side that connects to a relay near the brake distribution block that is for your power windows. The relay switches power on to the windows when the ignition switch is on or on accessory. 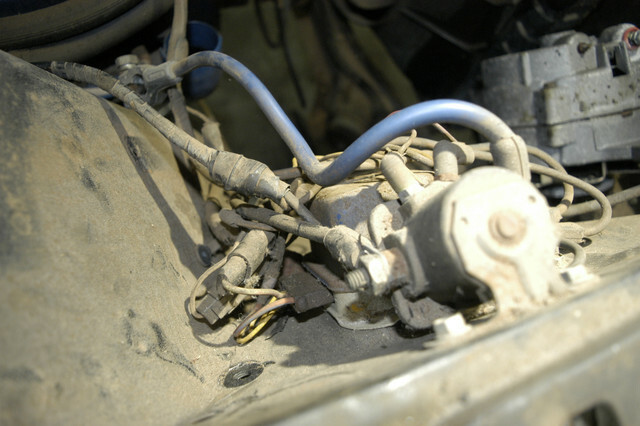 Kick Panel accessory wire harness plug. You can see the main power window plug as well. I am in the process of cleaning and detailing my 73 Mach 1. It has P.W., AC, rear window defrost, gauges, AM/8 track, convenience group. So the harness will be much like yours. If you need specific pics I can get right now but interior going back in over the weekend. I just cleaned the P.W. relay and put back on and cleaning up the harness at the solenoid also. 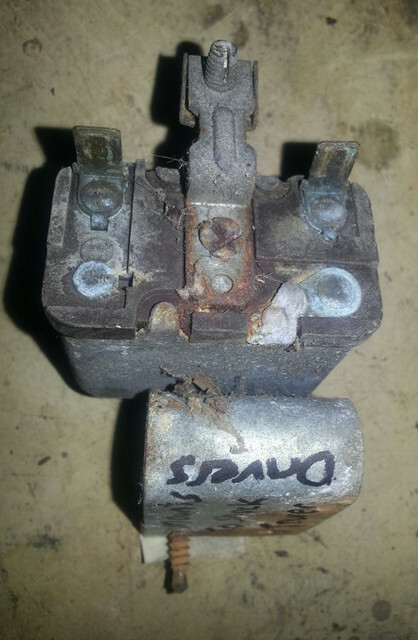 Here is a couple pictures of the wiring at the solenoid for reference. Not cleaned when taken. I do not know if you have added anything or not but the wire harness is specific to options on the car not the same for every car. Difficult to find the right one sometimes. 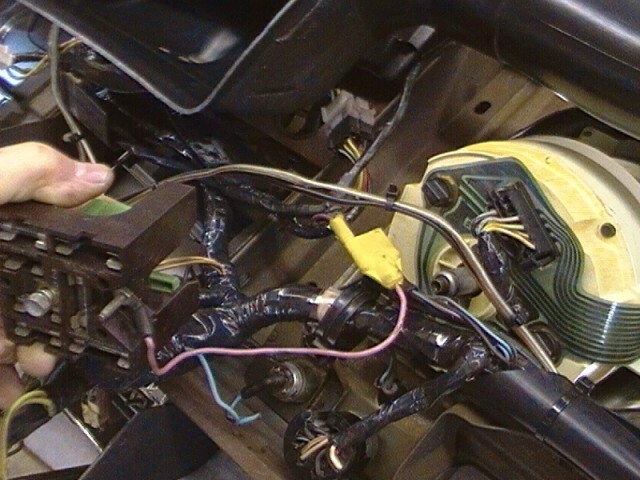 While you are this far apart be sure to take all the ground connections loose, wire brush / sand and put some electrical grease on them to make sure they work later. Also the light sockets usually need cleaning and a spot of grease also. I use a pencil eraser to clean the printed circuit board behind the instrument panel and take each bulb socked and clean. If you have ever had a boat trailer or camper you use the electrical grease on all the lights or they do not work most of the time, lol. You can get at local parts house I think the last tube I got was made by permatex. The blue battery wire is gone I got a set of the one's that Marti makes have not compared to original yet.